One of my granddaughters will be graduating from high school in 2019. I am looking for an easy modern quilt pattern for a twin size bed. the Rail fence pattern is very easy, but not one of my favorites. My go-to, easy pattern is called Five Easy Pieces Charity Quilt and if you do a search on this board for that you will find it in the archives of the Tutorials section. I gave complete instructions. Although I did it in masculine colors, scroll down through the posts and see examples of others that did it in feminine colors. Would be great in modern brights/prints too depending upon her tastes. Last edited by Jeanne S; 05-13-2018 at 05:23 AM. Boston1954 made the most beautiful square in a square (not sure if that's the correct name) from batiks. It's easy and so pretty!! I hope she chimes in. I found it. It's called Boxed Squares. I can't wait to make one! Google Images is good too. Here I am. I have made Boxed Squares at least thirteen times. It is incredibly easy, but can be impressive with lots of colors. Plus, you can make the blocks any size you like. 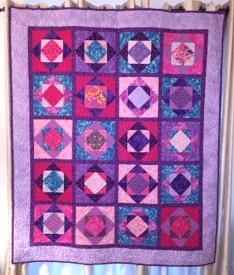 Since easy is in the eye of the beholder, I'd watch some Missouri Star Quilt youtube videos to see what appeals to you. (Don't do Quartered Stripes, that one was a royal pain.) I haven't made it, but Falling Charms looks like an easy one. I've made a Disappearing 9 patch, which most folks think is easy, but I hated that the direction of the seams was not controlled. I made an I spy quilt that was named "Happy Blocks". It was easy, as it didn't have many matching seams. My cousin loves the original Turning Twenty for an easy quilt. Flannel Bricks is an easy one. You don't have to use flannel and it has no matching seams. This is one I'd like to make. It does have matching seams, but look doable. It has a scrappy look. Other than those, do a search for "easy quilts for a beginner". There are tons of them. Thank you!!! I had forgotten about Pinterest. Here is one that I named Candy Shoppe. I used colors that remind one of licorice, chocolate, vanilla, red hots, and butterscotch. Exploding Block quilt. Colors not very true on here. ​Chevron quilts in bright colours always look modern to me. Teresa Down Under does nice tutorials, I like the square within a square. simple. easy. Cut out a square of flower, animal or whatever is a favorite of the receiver use it as a square pattern to cut the next square. Mark an 'X' on it and sew around all four sides. Carefully cut out the 'X' pattern but do not cut the square you started with. Repeat as many times as you need to get the size that you want. Use colors that relate back to what you started with in the first square. 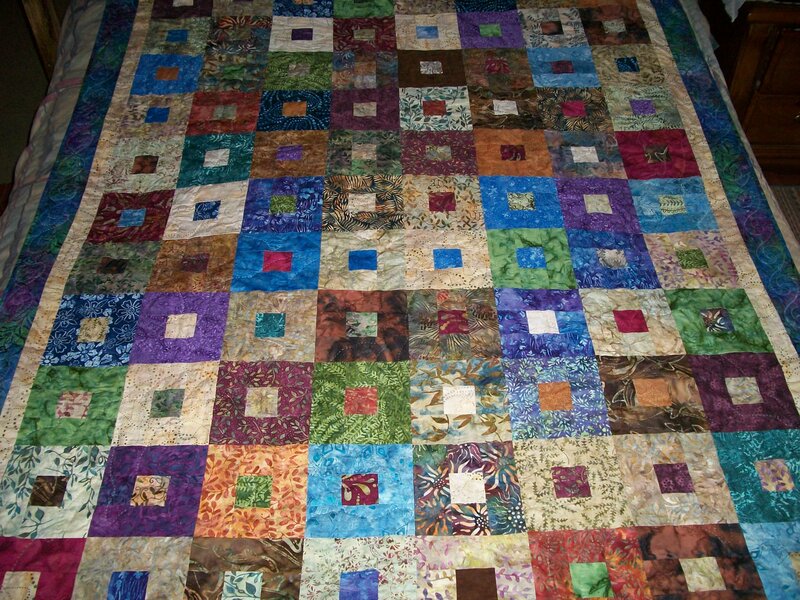 Then there is the www.quilterscache.com that tells you how easy or hard each block is, and it is free to use. Judy Martin also has free patterns and Fons and Porter has a magazine called "Quick Quilts" or visit their site. As does Moda and other main designers names. Good Luck, its hard for me to choose sometimes. I like the double slice blocks from MSQC. I also like the basket weave, similar to the fence rail but, not the same layout. Last edited by Irishrose2; 05-13-2018 at 04:21 PM. I saved your five easy pieces as it was just my colors and design. I mad3 one for a friend. I have made several rail fences as they are quick and easy. 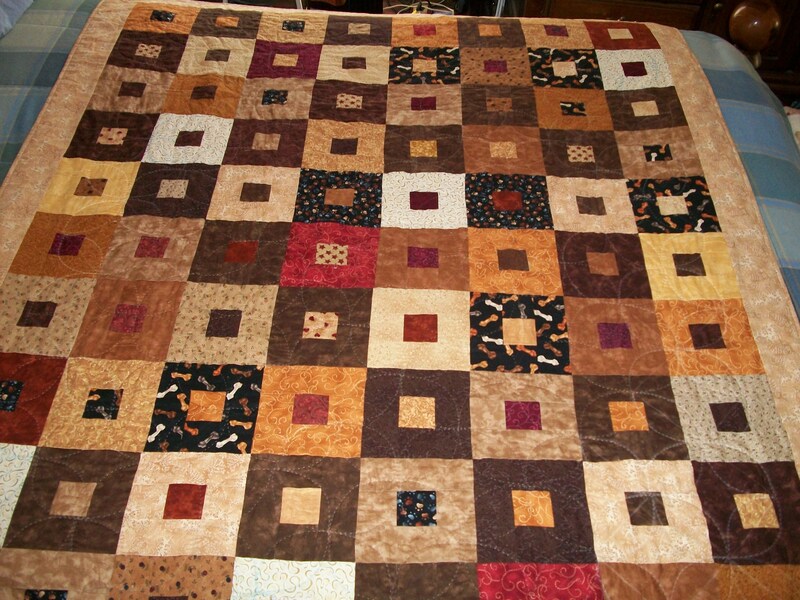 I have done several quilts with the “Carpenter’s Star” pattern & love it. Quick & easy. Another one that I have made several times is called “Walkabout” & I downloaded that pattern from Connecting Threads. Both of these patterns are quick & easy & you can make them in different sizes by changing the size of your blocks. Easy for cutting and assembling. Easy does not mean it can not be dramatic and showy. A TATW one can be quite an attention getter! Do you need one more idea to choose from? Cluck Cluck Sew makes some really nice simple cute patterns. This site has quite a few listed. Last edited by RedGarnet222; 05-14-2018 at 09:07 AM.